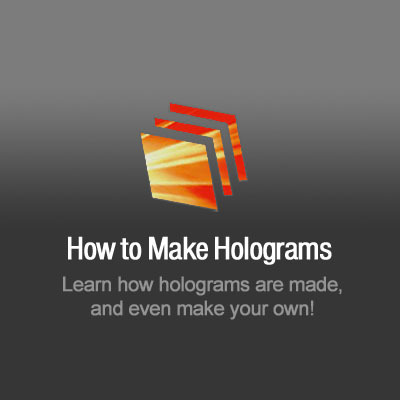 Hologram Kit – Produce own holograms. Go to the video Kickstarter and check out how it´s possible. Kickstarter video watch this and support Litiholo. 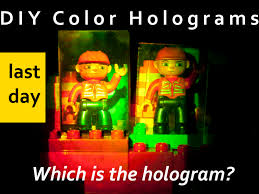 Full-color hologram kit. The Litiholo Full-Color Hologram Kit is finally officially here. This has been a long process, but it has turned out far better as a result. We now have a great source for the green and blue lasers, adding to the reliable holographic-quality red lasers that have made our regular Hologram Kit so successful. 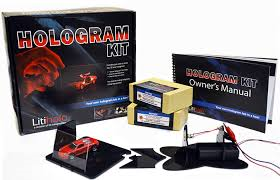 The Full-Color Hologram Kit has everything you need to make your own full-color holograms for $329. That includes Red, Green, and Blue holographic-quality laser systems, high-quality color combining optics, and our full-color sensitive Litiholo “Instant Hologram” Film (20 plates). If you already have our standard Hologram Kit, you can upgrade to making full-color holograms with our Full-Color Hologram Upgrade Kit for $229. Not only a hologram kit for production of laser transmission holograms but they are also in full colour! This is cool – he says at the video. Check for yourself! 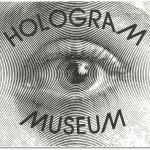 The same way to produce holograms since our holography courses at Hologram Gallery Stockholm 1982 – 1995 with a big difference that today you can have full colour holograms. 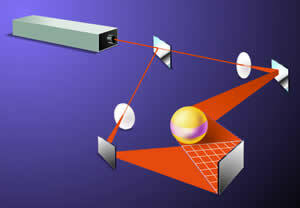 At our courses we mostly produced reflection holograms visible in white light. Check this video for a short lesson how to produce a full colour hologram.